Just Recorded! Prepare to Be Prepared! Well, I have done it! Just recorded my first podcast but it will be awhile before I have it up on iTunes. The experts that I have been followingPat Flynnand Sunny Lenarduzzisuggest to have 10 Episodes available before putting them up in iTunes. The more I do, the faster I will get for sure. I really am loving this! Preparedness is what we do and what we love to teach about. Now, do we have everything that we need in case of emergency? No, but we work at every month. We have almost everything on my list of 100 Essentials but with building Mountain View Ranch, we have some ways to go. This summer we hope to add electricity to the property! This will be huge for us to have shore power. We will continue with Off-Grid options? Yes! The problem with having only Off-Grid options, you limit the folks that could purchase the property if we or the kids every decide to sell. You can’t get a mortgage on a property without shore power or a home on the property. These will all be on our property. David and I decided about 10 years ago that we wanted to have property and live pretty much self-reliant. With the kids out of the house and getting along with their own lives, this became more of a reality. For about 4 years we looked in Colorado, Idaho and Montana for the perfect piece of property. Never did I think that we would stay in Oregon. Looking a Landwatch.com one day, I saw this amazing piece of property now known as Mountain View Ranch. David and our son Matthew came down to look at this piece of property while I was doing a show in Prather, CA. David only looked at the property from the road and never walked the property. He asked me, can you stop on the way back and check out this property? Of course! Driving up to the property, I saw White Vinyl Fencing and fell in love but I had to walk the property to make sure. In calling the realtor, he stated that a couple was flying out from Arizona the next weekend and he was pretty sure they were going to put an offer in on the property. Well, I got out of the truck and on that beautiful sunny March day, I walked this property. It had a very old barn that was leaning over so bad that the owner had put up aircraft cable with pulleys to prop up one side of the barn. It was pretty scary but the rest of the property was absolutely beautiful. Two ponds that were full, several streams were flowing here and there, wildflowers and green grass. The Original Barn was falling over and not safe! While, I was walking on this beautiful property, I heard God’s voice saying, “This is it! This is it, this is it!” You know that feeling that you being told by God what to do? Then you know that you had better act. After talking to the realtor again, I let him know that we would be down on Thursday to walk the property and possibly put in an offer. Well, needless to say we did drive back down and put in our offer. Initially it was rejected by the owner so we waited. I knew that this was the property that we were supposed to have. After mulling it over for about 12 hours, we put in a full price offer and now have our 68-acre ranch know as Mountain View Ranch! New Barn Built By David and Steve when the contractor we hired baled! Without Agnes (Our Scissor Lift) we would have never gotten our Barn done! Steve is also a Painting Contractor that helps as well. Drone View of our Ranch! Now, I feel like I have gone on and on about the ranch but it’s a huge part of our Preparedness. Where ever you live you need to be Prepared for whatever might come your way. Follow us on Instagram, Twitter, Facebook. Have a question? Send me an email! We love hearing from you and hope to see you somewhere down the road! First, I have to have a HUGE Shout Out to Patricia! Well, readers, I am going to start a Podcast in the next few weeks! Had to order a few items that I will need to get everything started but I should be all set in about 2 weeks. I will keep blogging as well because some folks prefer that as well. As soon as its ready to launch, you will be the first to know! How many of you follow us on Instagram (amp3prep)? Really excited about this too, I will be posting on this platform on a regular basis so I hope that you will follow along. We also have a Facebook Page and Twittertoo! So many social media spots but it’s really fun! I have to order a few items for the podcast so it will be a couple of weeks before I am up and running but you will be the first to know. Invite your friends and following along. The podcast will be based on Practical Preparedness for the everyday person and finding items on a budget. Since 1992, we have been into preparing and collecting items that we have and use. This blog has given me a way to share knowledge and the podcast will allow me to have guests that really know about the industry as well as products they recommend. I hope that in the weeks to come, you will send me some topics that you would like to see in my Podcast. Really excited about this new chapter in the life of Amp3 as well as working with amazing people on the road to better Preparedness. Remember to follow us on Instagram and Like US Facebook and Twitter! Leave a comment or email me! All of the links are below! Do One or Two Things! Preparing for an emergency such as an earthquake or wildfire can feel like a daunting task at the outset. What to pack? How much water? How much food? Where to meet? Who to call? That's why I encourage everyone to take baby steps and check off one item at a time using my list of 100 Essentials or one initiative called Do One Thing! With this in mind, let’s get started on becoming better prepared for natural disasters or what ever might come your way. Every month take 2 or 3 items from the list to add to your personal preparedness. Remember, slow but steady progress toward the ultimate goal of better emergency preparedness. Getting your go bag ready, you can take a whole month and find some things for your go bag, get that ready, put it in your car, put it in a place in your house. Then the next month you can focus on getting a two-week supply of food and water. You get the idea! Have items for you and your family that you know you will eat. Purchase food items that have a long shelf life. We prefer. Honeyville has everything that your family will need! We order from them on a regular basis. I think most people just really like to think it’s not going to happen to me! That’s when you know you are not prepared. If you live in an area that has forest fires you need to understanding that you’re in a hazard area or that it can happen to you is probably one of the greatest things you can do to begin with. Better to be prepared then to think it’s not going to happen. Consider having a storage locker to store all of your preps. This should be fire proof and water proof to protect your valuable preparedness supplies. We currently have two storage places as we have two properties and depending on where we are, we want to be prepared. Plan, Prepare and Practice are the three pillars of Preparedness. Summer coming soon so plant your garden and can your produce! Let me know your thoughts and keep preparing for your family and your future! Getting back to the website and my blog following a interesting year! Hope that you enjoy it! 2018 was a year of unexpected changes in our family. In Jan 2018, I was diagnosed with Breast Cancer, Stage 1B. Really glad that I caught this early and started treatment on March 9th with Lumpectomy surgery. That was followed with 4 Chemo treatments and then 4 weeks of Radiation. All of this finally ended the end of August! Following all of this, David and I celebrated our 38th wedding anniversary at our ranch in Southern Oregon and hung up the last of our lights on the barn. Wow! Where did the 38 years go? Hanging the barn lights with help from our neighbor Tonk! David ended up needing Arthroscopic Knee Surgery in September. Healing well and ready to get back to the ranch. With all of this going on we actually got in one week of work at the ranch. David and Steve were able to paint half of the barn this year. This was followed by a luxury trip to Rouge Barber’s in Grants Pass, OR these two boys were treated to the works. 2018 ended with our family being together for Christmas. Kelsey, Kyle, Matthew, David and I stayed home and enjoyed the reason for the season. David and I hope that you were blessed in 2018 and that 2019 is the BEST one yet! Let us know about your plans for 2019 and we hope to see you somewhere down the road soon! Le me know your thoughts about 2018 and 2019. Share with us some shows that we should think about with Amp-3 too. Can you say "Cage Number"? A Commercial And Government Entity (CAGE) Code is a 5 digit, alpha-numeric identification number assigned to a company after successful registration in the federal government's System for Award Management (SAM) database. I am writing this Blog to help out the Preparedness Community to be prepared for whatever might come your way. You are part of this community and I hope that you and your family are using this Christmas to add to your Preparedness. Will you challenge yourself and others to use the 100 Essentials with your Christmas shopping needs. If you add a few items from this list you will that much further ahead when the new yer starts. I suggest that you print off the list, cross out everything that you already have and start with what you might be needing. Remember some of these items are very affordable and some are more expensive. Since we started working on Mountain View Ranch in 2014, we have used our Honda Generator everyday that were there almost 24/7. What a great investment! I have seen them on Sale over the Christmas Season for up to $200 off! Look on Craigslist for a used one. You won’t be sorry to have this in case of emergency. You will also need oil and gas on hand as well. What a great Christmas gift this would be for your family. As many of you know, I love Vintage Oil Lamps. This time of year, I have them in our home for ambiance but if the power goes out, I am ready with one almost always lit. I love the warm glow of old oil lamps. I am looking forward to have the kids home this week with lots of Baking, Christmas Movies, Driving around to see Christmas Lights and so much more. I have my Christmas Shipping almost done and David is going to love the Christmas Surprise under the tree this year. Yes, it will be used at the Ranch! Share with me your Christmas plans and what your going to add to your Preparedness! From our Family to Yours! 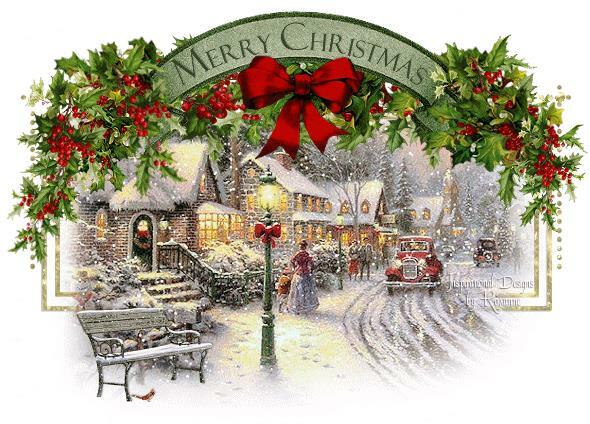 Keep Christmas with you all the year through! What's Your Code? Preparedness 101! This time of the year seems to go by so fast! With shopping, decorating, cooking, family, friends and parties!. Where does the time go? Well, here are a few tips to keep all of this is perspective. Head out early in the morning to get your shopping done, easier parking, less crowds and the deals will still be there. This year, I shopped at the mall on Cyber Monday. The Mall was empty and I really enjoyed the process of picking out jus the right gift for my family and friends. This week should be about the same, it you can get to the stores early. Shopping online has never been easier but be careful! Only use a Credit Card when shopping online as Debit Cards are not a secure. Order early so that you ensure you will receive your orders in a timely manner. If you have packages to ship out of town, I usually shop for them first and get them in the mail weigh away. This morning, I actually shipped all of my out of town packages. Feels great to have them off my list... Remember the later you ship your packages, the more it costs to get them for Christmas. Can't think of gifts this year, give the gift from my 100 Essentials List and start your family and friends on Preparedness. Just a thought! Christmas is such a special time of the year if you can plan ahead, take each day as it comes and enjoy the process. We getting excited to have time to spend with our family, friends and we hope that you do too! Well, its been awhile since my last blog post. This year has been a year of changes with Chemo and Radiation treatment ending in August. Really glad to have that behind me. Here I am on my last Chemo treatment! Final Chemo Treatment June 18th. Followed by 4 weeks of Radiation! Glad to have this done! David and I celebrated our 38th Wedding Anniversary down at the Ranch! Hand Warmers, Head Lamp and Light Stick. I have yet to add the Hard Hat and Clothes. You might ask yourself, “Why Would I Need This”? We live in earthquake country and found out the hard way what it’s like to not be prepared. When a larger earthquake hits, you might have broken glass on the floor and you DON”T want to just step out onto that. This tubs is prefect and slides right under the bad and ready in case of emergency. You never really know when you might need this but I would rather be ready when I do. Seems like every week or so, I am adding to this kit with something. Go ahead and plan ahead for whatever emergency you might have heading your way. Let me know what you think too? Your thoughts are always important to me. Since we moved into the new house here in Oregon, we're just are not as prepared as we need to be. Water, is something that we have to have so we can up with this solution. Check out your local grocery store for 5 gal water containers. They might even have a fill station like the one that I used. Even if your on a budget, like we are and purchase something every month to add to your preparedness, you can do this. I purchased four water containers and the water for less then $32. Realizing that you need one gallon of water per day per person (Don't forget your Pets). If the water is coming from a city source, it will already be chlorinated and you won't need to add anything to it to keep it for a year. If your not sure, then add a few drops of bleach. You can start with this but realize that, you need enough for your family and pets for at least 2 weeks to start. Adding more will only give you more backup or share with your neighbors. Preparedness doesn't have to be expensive but everyone should be prepared! We live in Oregon but no matter where you live, preparedness is for everyone! In Oregon, we need to prepare for the big one! Have you heard about the Cascadia Subduction Zone? Watch this! Are you prepared with a Go-Bag? How about a Ham Radio? Do you know how you would get home if you had to walk? This is going to be a very bad day no matter how you prepare. Be smart NOW about how you prepare. FEMA tells you to be prepared for 3 days, how did that work out for the folks of Hurricane Harvey? Not well, they needed to prepare for 2 weeks instead. That is about what you will need here in Oregon for this very bad and disastrous day! Two weeks of preparedness means, without help from the outside! You need to self sufficient for this time with your neighbors and surrounding community. Will you be able to live without running water, without being able to flush your toilet or electricity? It's more then just stuff that you will need to be prepared with. Preparedness isn't easy, it takes time and you have to have a plan. Do you know how to shut off your Natural Gas? Do you have the tool need to shut it off? Do you know how to shut off your water? Do you have satellite radio in your car? If you have a newer car, you probably do but you pay the $$ each month to use it. You will be able to get information about your area via Satellite radio in the event of a disaster. . Communication is key during any disaster. Do you have a meeting place for your family. Have you practiced getting to this place. Remember, you may be walking to this meeting place be ready with a good pair of walking shoes. When experts talk about a 9+ earthquake hitting off the coast of Oregon, this is not a small event. It will effect the entire West Coast. The scenario Cascadia earthquake would be an unprecedented catastrophe for Oregon and for the United States. It would impact every aspect of life for all Oregonians and for the residents of northern California, Washington, and British Columbia. The effects of a Cascadia subduction earthquake will be greatest on the coast, which is right next to the subduction zone fault, and will diminish as one goes inland. This, in combination with Oregon’s mountainous geography, divides the state into four impact zones: within the tsunami zone, damage will be nearly complete. In the coastal zone, shaking will be severe, liquefaction and landsliding will be widespread and severe, and damage will be severe. In the valley zone, shaking will be strong, liquefaction and landsliding will be common but less severe, and moderate damage will be widespread. In the eastern zone, shaking will be mild, landslides and liquefaction sporadic, and damage generally light. Earthquake deaths ranging from 650 to 5,000, with another 600 to 5,000 deaths due to the tsunami. 24,000 buildings completely destroyed, and another 85,000 with extensive damage requiring months to years of repair. Approximately $32 billion in economic losses. These high levels of damage and loss reflect both the great size of the earthquake and the fact that many buildings, roads, bridges, and utility networks were designed before Oregon’s building codes and practices recognized any significant earthquake threats, and most were designed before codes began to take great subduction earthquakes into account. Lifeline systems, such as highways and pipelines, are particularly vulnerable to ground failure, which will be widespread in the next great earthquake. As a result, the vulnerability analyses done for this plan are grim. For example, if the earthquake were to happen tomorrow. One to three years to restore drinking water and sewer service in the coastal zone. One month to one year to restore water and sewer in the valley zone. Six to twelve months to restore partial function of the top-priority highways in the valley zone. Two to four months to restore police and fire stations in the valley zone. Eighteen months to restore healthcare facilities in the valley zone, three years or more in the coastal zone. I am not really sure how you totally prepare for this situation but you still have to be aware and prepare the best you can if you live anywhere in Oregon. What are Schools, Universities and Churches doing to prepare for this scenario? Have they even begun to talk to teaches, students or congregations on what to do in the event of this disaster? I am not really sure! Sorry, that I haven't posted on the Blog in awhile but we have had a lot going on lately. We traveled to Salt Lake City, UT for Preppercon, last week, sold our beloved Camp 216 and will be placing an order for a new one in July. Like I said a lot going on! Well, today I had my 3rd infusion of Chemotherapy for Breast Cancer with one more to go in June. Follow that with 6 weeks of Radiation Therapy and I will be done. Here is my photo from this morning! Notice the hair!! Feeling pretty good so far and keeping busy with Amp-3, planting vegetables in our garden, hanging flower baskets and feeding hummingbirds. This is what you do when you have to be pretty close to home. David has been down at the ranch, mowing and weed whacking. Check this video out! Granted this video is a bit old, that is because David needs to shoot some new ones when he's down at the ranch this week! I will get on him about this. Are you signed up for our mailing list? Why not?? We keep you up to date about happenings with Amp-3, Sales we might be having and classes that David will be teaching! Sign up here! Well, that's all for this week! Let me know what you think by adding a comment! Amp-3 is here to help you with your preparedness needs. Thank you for following along! Tomorrow, Monday April 16th, Beth will be starting 4 treatments of Chemotherapy spaced 3 weeks apart and then 6 weeks of radiation. Beth is feeling really good, God is so amazing and the support has been overwhelming! David, Kelsey and Matthew along with Beth's family and really close friends have known about this since Jan. and she is really am doing fine. David will be going with Beth to all of her Chemo treatments and the support from him has been thoughtful and caring. Amp-3 will be up and running during this time of treatment but orders may get delayed depending on how Beth is feeling. Thank you for all of your support and your love! So, You Want To Hatch Your Own Eggs, Now What? This week, I have two guest bloggers that raise and hatch chickens. You want to learn how?? Read this Blog Post and get started hatching your own eggs! By Chris and Deanna – Chris and Deanna homestead on 33 acres in Southwestern Oregon where they raise most of their own produce, as well as chickens, rabbits and goats. They have a combined 30+ years of experience across a wide array of homesteading skills. Recently we decided to increase the size of our flock of Jersey Giant chickens. Up until now, we have always bought chicks either from local feed stores or through online sources. This time, however, we decided to take a more “homestead” type of approach and hatch eggs from our own flock of 2 roosters and 30 hens. It was much easier and far more rewarding than we could have ever imagined. We started by doing lots of research on the various methods and equipment needed to hatch our own chicks. There are varieties of opinions on how hatching and brooding chicks should be done. We settled on an incubator kit by Little Giant that featured everything we would need, including an automatic egg turner accessory. It has a capacity of 41 eggs. We decided to hatch fewer than 41 eggs since we really had no idea what we were doing and did not want to get in over our head. We chose 10 nice eggs for our first try at hatching. Using the instructions supplied with our incubator kit we candled the eggs to try to make sure they were fertilized. We set the incubator up on our kitchen table so we could keep our eyes on the process. The instructions were clear on how to maintain humidity in the incubator, which we would later find out, is crucial to getting a good result. During our research we found that there is normally a 60% hatch rate on eggs. Our results were just about there. In went the eggs…and then the wait began. At day 22 we started to notice that some of the eggs were starting to move around a bit. This is normal when they are about to hatch. The next day six of the chicks began to “pip”. This is the term for the first hole they peck in the eggs and is a sure sign that the hatch has begun. At this point, humidity levels are even more important. We did not find out until later that our son had been opening the incubator and moving the eggs so the “pip” was facing up. This created havoc with the humidity in the incubator. Two chicks hatched normally on day 25 while three seemed to be having trouble and one did not progress beyond the “pip”. We left the process alone and monitored, keeping the humidity up as best as we could. It quickly became apparent that the two chicks having trouble would need some help. Turning to “YouTube University”, we found that you can help chicks having a hard time by actually peeling some of the shell and gently opening the inner membrane for them. This is something you will want to study up on because there are some specific recommendations to follow if you are going to try it, and it will help you hatch more chicks. Following the information we found, we helped the three chicks hatch by hand. It was an incredible process. All three that were having trouble had a condition known as “shrink wrapping”. This happens when humidity levels vary wildly after the “pip" stage, which is where our helpful son figured into the picture. Every time he was opening and closing the incubator, he was messing up the humidity levels. The lesson learned here is do not open your incubator unless you have to, and then, only keep it open for a few seconds. At this point, we had five chicks hatched. The sixth that only “pipped” never hatched. We did our own chick autopsy to try to figure out what happened and we found that the inner membrane of the egg was dry and had make it impossible for the chick to hatch. After the five living chicks were fully dry, about a day later, we transferred them to a brooder. One poor little fellow was born with deformed feet and he did not make it. We feel that this was due to the “shrink wrapping”. The four remaining chicks grew quickly and went to an outdoor brooder when they were about 3 weeks old. We ended up with one hen and three roosters, which was not what our plan was since we wanted to hatch more hens, but we were grateful for what we got and the learning experience we had. We likely will never buy chicks again now that we know how easy and rewarding it is to hatch our own. Do not be afraid to hatch your own chicks. You will make your homestead more self-sustaining and can even sell your chicks! One final note. We normally use torn up newspaper in our brooders. This time we decided to use wood shavings. It turns out this is a bad idea because new chicks do not understand that they are not supposed to eat the shavings. More than once, we had to take shavings out of their beaks and point them to their food. Wow! As I read this, I quickly understood that time and patience are needed for Hatching Your Own Eggs! Great tip on the wood shavings too! Thank you Chris and Deanna for your time in putting this together. Are you interested in being one of my Guest Blogger? Then send me a email at amp3@reagan.com and be added to the list. Looking forward to next week? Post a comment and let me know what you think and what you would like to know more about! It's been awhile! Don't miss out!!! Hey there, sorry that I haven't posted lately but we got pretty busy with the ranch and life. The count down is on for the Gleam Outfitter-Give-Away tomorrow. Not sure what that'll about, then check this out! January 22, 2018! Part 2 from Jerry D. Young! Hope that you enjoyed last weeks post from Jerry D. Young on his plan for Preparedness. This week we will continue along that theme and give you the 2nd half of his plan. The best place to start is usually getting the basic human needs taken care of first, no matter what scenario you are preparing for. First you need to figure out what those are, but that is pretty easy. I have a list. The rest can come when you have learned more and not only have, but have practiced with, the initial items. Begin to study and learn all you can now, and as you go along. Preps without knowledge aren’t nearly as effective as they are when you know the why-to and when-to in addition to the how-to. Do not feel like you must do everything in the order listed. You will need to do many of the things, especially these first ones, concurrently. Some things can wait, depending on your specific situation, but the basic human needs should all be met as quickly and completely as possible. Fortunately, it is still free and available, for the most part, for most scenarios. If there is a problem with air supply, special equipment and supplies are necessary. Not a beginner’s subject. Has to be contaminate free, naturally or with other means. And a lot of it. Store a lot, locate a reliable future source, get water treatment/purification. A few 15-gallon water drums, a couple of stainless steel water bottles with cups for the BOBs, a quality water purifier, either a high cap camping filter or a combination of a drip filter for the BIB and a smaller hikers filter for the BOBs. Scout out locations for long term supplies of water. You can go for a while without it, but not long or you become useless. No cook, add hot water only, & easy-cook shelf stable foods, heavy on meats, fruits, and comfort foods. For both BOB and BIB. Buy in bulk or in case lots when possible. At the least, buy extra of the things you want and use on a daily basis when they are on sale. To build up longer term supplies, double buy each grocery day. Soon you will have a good pantry. Learn to garden and grow as much as you can as soon as you can. Ditto home canning when you get the garden going. Don't be afraid of the commercially produced crops like wheat and oats. You can grow non-hybrid/organic types in a home garden. You gotta go when you gotto go. You need the safe means to do so. Chemical toilet, TP, hand washing means, bug spray, antiseptic cleaners, shovel to bury wastes. Toiletries. Charmin camper’s toilet paper and cleansing wipes for the BOBs. Infectious diseases protection supplies, face mask, gloves, goggles and hand sanitizer. And the ladies, and especially soon to be ladies, need large supplies of their needs on hand. You need appropriate clothing as well as housing. Sometimes it is more important than food or sanitation in extreme circumstances. This includes being able to make and control fires. The right clothes for the season. Basic camping gear in case the house becomes unlivable. You are probably already doing the right clothes for the given season, though here in Reno I see people going from heated homes to heated cars, to heated business and back again wearing a T-shirt, shorts, and flip-flops in 20 degree weather with snow on the ground and coming down hard (I am not joking). Have what you need to keep you comfortable in the weather. And the camp gear is for when the house cannot be lived in and you need to camp out in the back yard or evacuate. Or even stay in the house when nothing is working. Fallout/blast shelters, like air purification, are another specific topic that deserves separate consideration. Put it in the budget, and start saving, but don’t short the other equipment and supplies unless war is imminent. Beside protection from the elements, there can be a need for protection from dangerous animals, including other humans. Light is your friend. If you cannot see the threat, you cannot protect yourself from it. Lights and vision devices are an important part of a security plan, as well as all around useful. Once you know you can see it, you can get the actual means to protect yourself from those things in your threat analysis you decided were the biggest dangers. From wild domesticated animals, wild animals, and self-defense in those cases where it might be needed. Training, weapons, defensive measures. For some this is a much higher priority. Evaluate your needs and make the decision. They tend to be expensive, so set up a long range budget and start saving money for them now, even if you can’t get it yet due to the overall expense. But as soon as you can, get something that is at least reasonably effective, even if you prefer something else in the future. Don’t put off protection items to get the penultimate weapons system. Train, train, and train some more with them. And don’t forget Operational Security. Be very careful who you let know you have preps. There can be repercussions if other people do know. These are important for safety and utility. You will want several means to start a fire, and a couple of items to contain fire. Fire steel, Lifeboat matches, lighters with some tinder for the BOBs. To heat one room in the house, an indoor safe propane or kerosene heater with a supply of fuel stored outdoors. You will need lighting for indoors & outdoors. A couple of crank flashlights for both BIB and BOB, candles, propane lanterns, battery lanterns. Tactical lights for defense. Get some lighting specifically for preps, even though you probably already have a couple of flashlights with weak batteries and non-working bulbs. You will need sharps to cut with. Knives/SAK/Multi-tool, axe, saw, etc. I’m fairly sure you have a knife or two in the house. Probably suitable for most uses, except lacking a sheath. But there are some blades that are better for field use and Swiss Army Knives (SAKs), and multi-tools can be handy, and if you need to build shelter or an outdoor fire, axes and saws will save you much labor. Just purchased this slick little fire starter for David. American made! Click on image to get more information.